Indianapolis house cleaning services often deal with customers who are moving house. So, here is a useful moving home checklist you should follow to ease the transition. Letting your family, friends, and neighbors know you are moving is always the first thing to check. Besides letting them know your new address, informing your neighbors is essential, as moving can be a rather loud process. What’s more, you can always try enlisting the help of your friends and family during the move. If they are busy though, or simply can’t be bothered, there are always Indianapolis house cleaning services to turn to. Always try to arrange a moving schedule and stick to it. Notify your boss if you plan on moving during the week, as moving companies offer lower rates for weekdays than the weekend. On the other hand, you are better rested at the weekend, so moving then could be a less stressful and tiring experience. Choose your priorities and stick to them. Always try to transfer your utilities before actually moving. Otherwise, you might end up in a new home, without the most important of utilities. Don’t let this happen, be responsible. Utilities transfer should be included in your moving schedule, in order to turn off the connections at your old home, while simultaneously turning them on in your new home. Sometimes that means changing the provider as well. In order to make the moving process more organized, plan ahead. Sketch a layout of your new home and visualize where the items you are moving should be positioned. This also saves a lot of energy, as you eliminate the need to rearrange items once you finish with the move. By having a plan ready, everything should simply fall into place. Whatever you say, we know you have something you borrowed, and forgot to return. 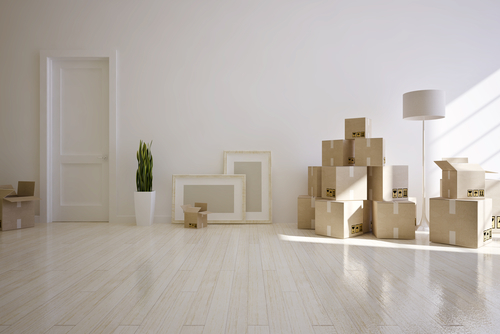 Moving is the ideal time to return those belongings to their owners. What’s more, it helps with decluttering and reduces the number of things you have to haul. Reduce your regular shopping habits, as the less you buy, the less there will be to get rid of. Start going through the frozen items in your freezer or pantry. Try not to buy anything unnecessary, as you might end up throwing it away. Why waste any money? Even if moving to a brand-new home, it is advisable to have it deep cleaned regardless. Imagine how important it is when moving to a previously owned home. Deep cleaning should be one of the last things to check off before moving your belongings to your new home. Indianapolis house cleaning professionals are the people you want doing this. Just make sure to schedule at least a week in advance, as you can never be sure if they are completely swamped. Moving companies do not allow materials such as old paint, pool chemicals, gasoline, some cleaning supplies, as well as fertilizers and pesticides. You have to dispose of them safely and responsibly prior to your moving date. DeluxeMaid boasts the best cleaning professionals in the business. We have eased the moving process for many a satisfied customer. If you want your new home spick and span when you arrive, look no further, call us!